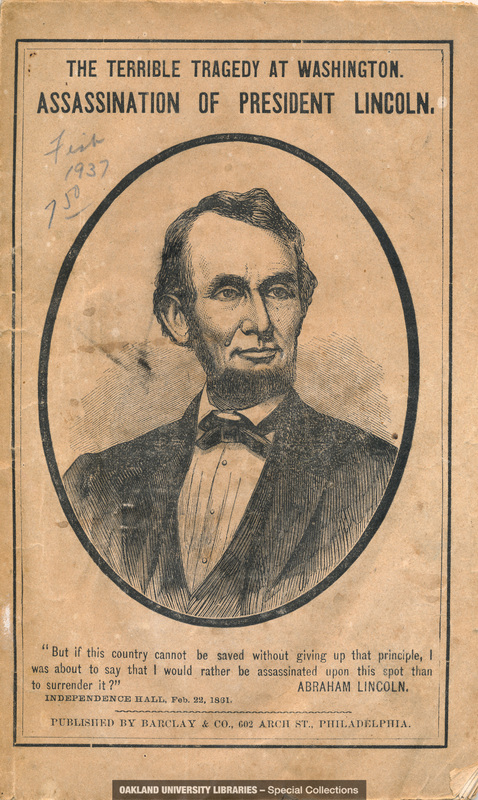 Cover of an early account of the assassination of President Lincoln. The quotation beneath Lincoln's portrait is: "But if this country cannot be saved without giving up that principle, I was about to say that I'd rather be assassinated upon this spot than to surrender it?" - Abraham Lincoln"